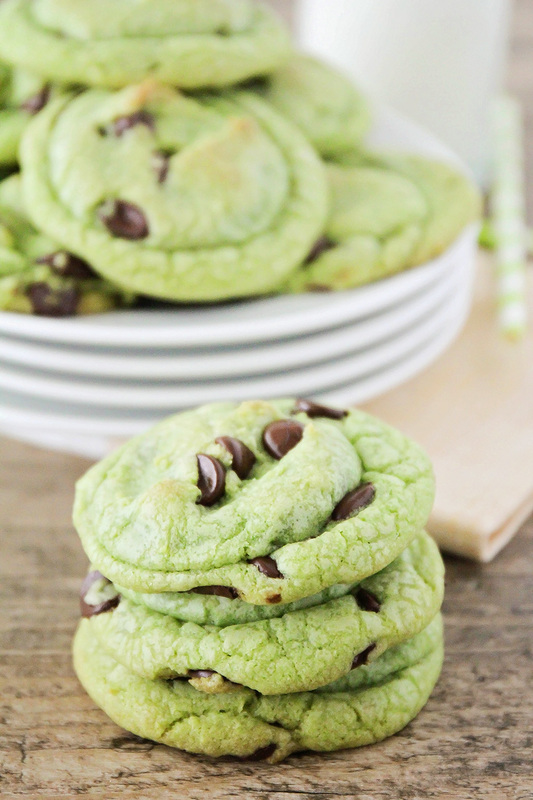 These mint chocolate chip cookies have the perfect touch of mint flavor and are loaded with melty chocolate chips. Perfect for St. Patrick's Day or any time! 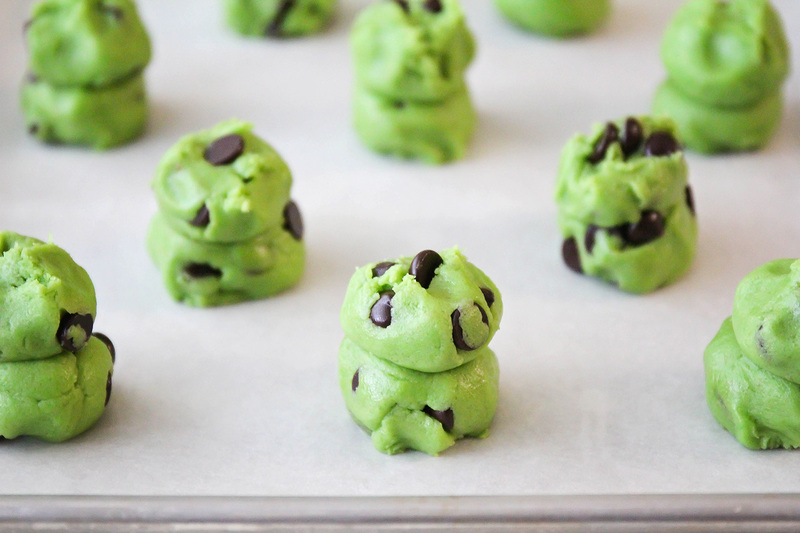 Because if you can't bust out the green food coloring for St. Patrick's Day, when can you? These mint chocolate chip cookies are a fun new twist on my all-time favorite chocolate chip cookies. They're simple and easy to make, and have the most delicious combination of flavors. 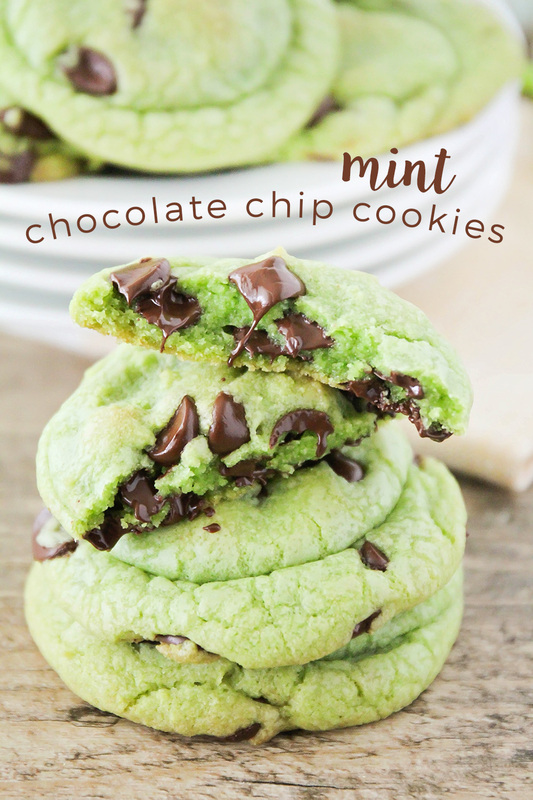 Who doesn't love mint and chocolate together? Yum! I decided to splurge a little and use my favorite Chocolove chocolate chips for these cookies, and it was a good move. They're a lot more expensive than the big bags of Nestle Tollhouse chips I usually buy at Costco, but they melt beautifully and they have such great flavor. They are definitely the best chocolate chips I've ever baked with! I used my genius cookie-shaping method, as always, and The cookies came out perfect as usual. They're just slightly crisp around the edges, and soft and chewy in the middle. They're my favorite when they're still hot from the oven and the chocolate is gooey and melty. 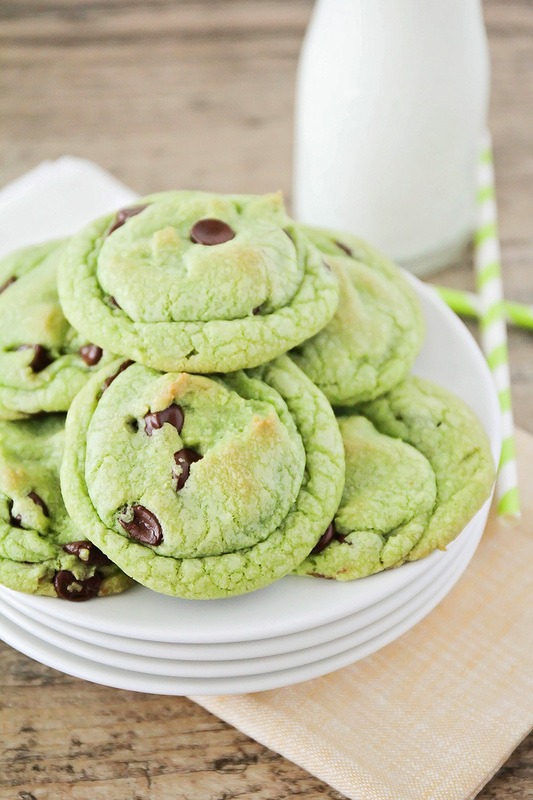 These cookies are the perfect treat for celebrating St. Patrick's Day! Preheat the oven to 350. In a large bowl or the bowl of a stand mixer, mix together the butter, brown sugar, and sugar. Add the egg, egg yolk, vanilla, mint extract, and food coloring, and mix until combined. Add the flour, baking powder, and salt, and mix to form a soft dough. Gently fold in the chocolate chips. Roll the cookie dough into golf ball sized balls. Using your fingers, pinch each ball of dough into two halves. Place one half, rough side down, on the prepared baking sheet, then place the other half, rough side up, on top, to form a double stack. Bake 11-13 minutes, or until the bottoms are lightly golden brown.